With this blog post I will try to compile some info on Mark Knopfler’s effect rack for his latest tours – based mainly on pictures of his 2008 tour. 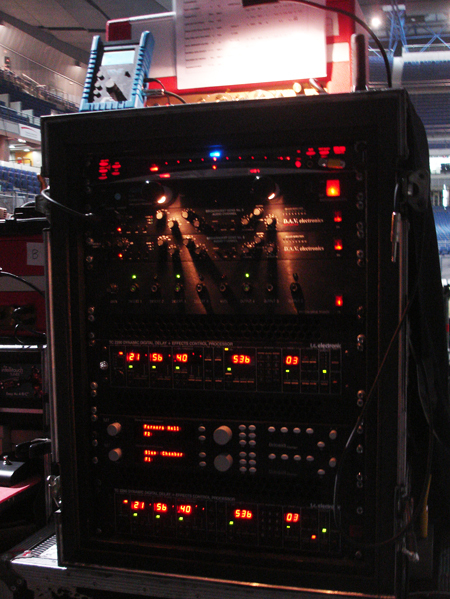 Probably the same rack was also used on his latest 2010 tour. Tuner – On top we have a chromatic tuner, as it seems a Korg DTR2000. Power conditioner – The second device we can see is a Furman power conditioner (not sure about the exact model). A power conditioner stabilizes the AC power supply and removes voltage peaks that can be dangerous for the following devices. Preamps – Below the tuner there seem to two units with various preamps by D.A.V electronics. These are used to raise the guitar signal to the correct level that is required to feed the various studio effect devices we can see a bit below. Switching – The next unit seems to feature individual switches for the various effect feeds. The control on the left is a gain control, followed by various push buttons, each witch a green pilot light. I guess here Mark’s guitar technician Glenn Saggers mutes or activates the different aux effects. Delay – Next comes a TC Electronis 2290 Dynamic Delay – a state-of-the-art digital delay. Note that Mark has two of these, the other one being the last device (bottom). 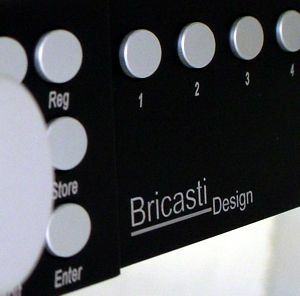 Reverb – Next we see two Bricasti M7 reverb units. Bricasti is a relatively new company founded by some ex-Lexicon employees. One of these costs about 3.700 Euros ! Note that these were not used at all because it was prefered to put a reverb on the guitar sound on the mixing desk. It will hardly be a surprise that the rack features only components of the highest available quality. While the previous racks built by Pete Cornish featured Cornish’s own signal preamps and buffers, now these are by D.A.V. (Dave Electronis) – a company that also supplied Knopfler’s British Grove recording studios. Possibly the switching unit was also supplied by them (?). We can assume that the overall logic behind the rack – sending effect feeds in parallel just like studio mixing desks do – is still valid for this rack. Thanks for the explanation. It always surprised me a bit that MK has quite state of the art gear, while (to me at least) he seems rather indifferent about his gear and guitar gear in general, definately compared to other guitar players. Why do you think he seems indifferent? I think he just takes the best quality but probably has others to compare and find the stuff for him, but I’d think he decides himself what he finally wants to use. 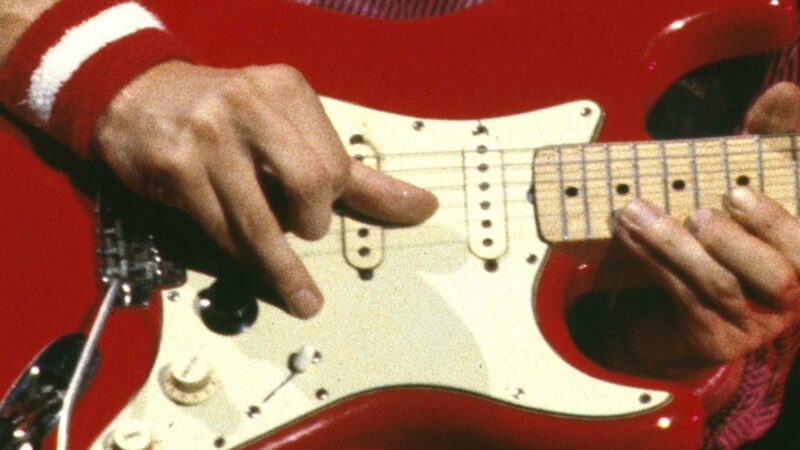 Do you think that Mark Knopfler used reverb on What it is, Sultans en so far away? from the Get Lucky tour 2010 or is it just delay?